We have some Employee Birthdays this month! Olsen’s Grain has amazing employees that put in long hours, hard work and dedication to serving the Yavapai County and surroun ding areas. Make sure you stop in and wish the following team members a Happy Birthday this month. Happy birthday to these fine folks who help make the wheels of Olsen’s go round and round! We are celebrating two Employee Anniversaries this month. Mike Hansen has given Olsen’s 8 years of dedicated service and November marks 17 years that Rob Shandera has been a valued team member. We would like to thank and recognize all of these dedicated employees for their outstanding customer service. We couldn’t do it without you. 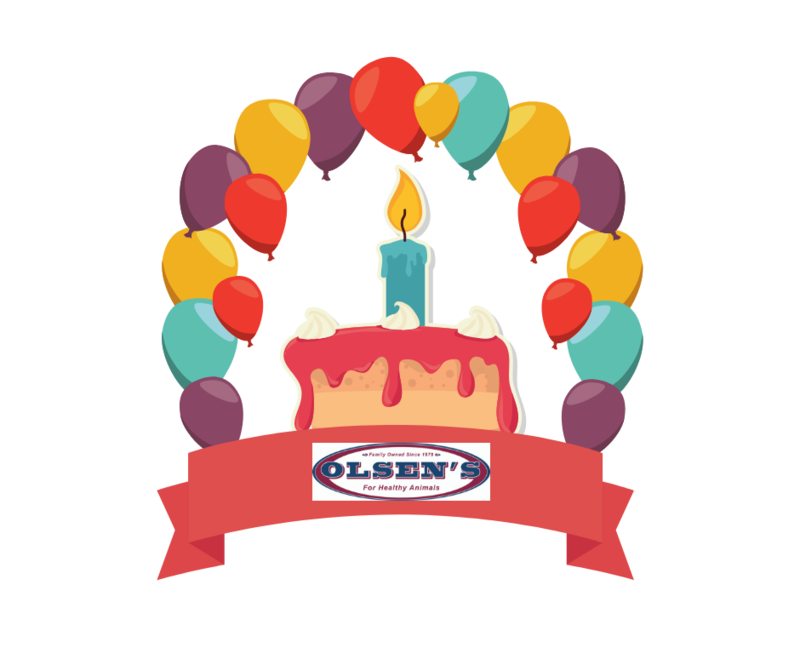 Together, we have made 39 years possible and we consider each and every one of you as part of the Olsen’s Grain family. This entry was posted on Wednesday, October 24th, 2018 at 4:46 pm	and is filed under News & Updates. You can follow any responses to this entry through the RSS 2.0 feed. Both comments and pings are currently closed.